There will be many interesting sessions on SAP related technology and trends. The entire Dutch SAP community is there! And even folks from surrounding countries are joining us. Meet your peers and have a conversation. Share insights and opinions. We're celebrating our 10th year anniversary. Needless to say that we're going to turn this into a party. There will be special, one-of-a-kind swag for our speakers and participants. We have 2 technology tracks and one BI track, all full of experience from SAP TechEd. But you will also find sessions from speakers that share a good amount of experience with SAP related technology in their day-to-day jobs. Meet the speakers afterwards to ask in depth questions. It doesn't matter whether you have been at SAP TechEd or not, you will definitely find new content and points of view here. Expect to bring back a good amount of knowledge and make sure your sunday is free to be able to digest everything you've seen and learned at #sitNL. And did I mention we celebrate out 10 year anniversary? As part of the pre-conference activities, we have two splendid master classes available, to be conducted on the Friday afternoon (9 Nov) before #sitNL. If you want to get your handsfirty with the latest and greatest that has just been announced at SAP TechEd, this is a must go-to activity! Please note that separated registration is required. Only just announced at SAP TechEd and now already at #sitNL! This workshop is to grasp the basics of Functions as a Service and understand how it can be applied in a really cool scenario. Bring your own laptop, nothing else than a browser and a trial account on the SAP Cloud Platform (free) required though. 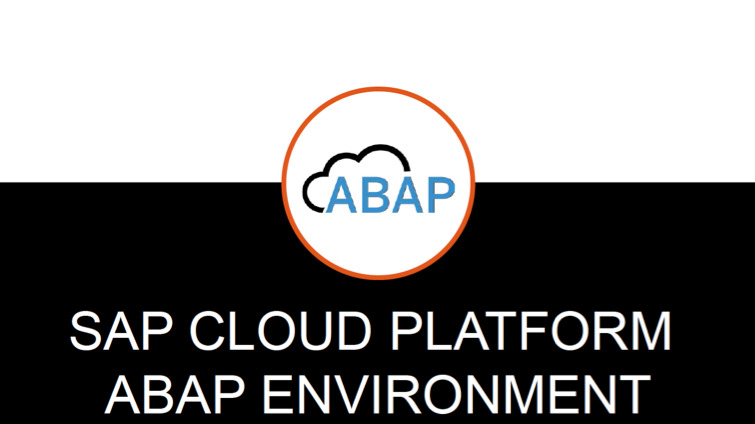 We'll bring ABAP in the Cloud to The Netherlands: this is your opportunity to get your first hands on experience with ABAP on SAP Cloud Platform, and try out the ABAP Restful Programming model (only available in the cloud). Make sure to have ABAP in Eclipse installed on your laptop. Let us take care of everything else! I would like to share 10 milestones when founding a company in the SAP ecosystem. From idea to business plan, changing job , first steps with the new company, IT infrastructure, from prototype to production and adjusting the plan and company concept. This presentation is a restrospective of a matured startup and should give the audience inspiration what might happen when you found your own company. SAP partners and customers alike embark on the journey to innovation. The investment in adopting and adapting to the newest technology trends is high, but is it worth it? Mastering the Fiori principles and building the most beautiful user interfaces is exciting, but is someone really using the applications? In this talk we will discuss how concepts like fail-fast and test-driven development can be applied before the actual implementation. In my session I will talk about the new ABAP RESTful programming model which is now available with the SAP Cloud Platform ABAP Environment. In a demo I will show how to develop a simple transactional application and explain the new concepts such behavior definition, behavior implementation and service binding. 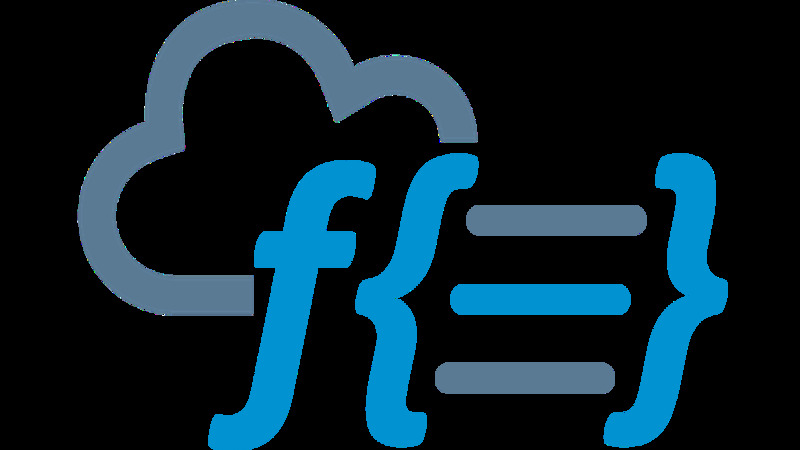 * Project Kyma or SAP Cloud Platform Extension Factory as the grown ups call it. * iBecons on your badge – wait what? After my visit to the SAPPHIRE 2018 in Orlando, it has become clear to me that the work of the traditional ABAP developer will drastically change in the coming years. In this session I will explain why this has become clear to me and which first steps an ABAP developer can take to be prepared for this. We developed a UI5 model (and bindings) that allows developers to build OLAP applications on XML/A providers (including but not limited to SAP/HANA). The model supports databinding so you can build rich, true OLAP ui5 clients. The XML/A model for UI5 is based on the open source Xmla4js library. The art of commenting your code with a bit of Technical Debt, Clean Code, ABAP Doc, and Code Inspector. Domain-Driven Design is about communication, creating shared understanding, and letting your code reflect that understanding. The ideas have been introduced in 2003 already, but lately DDD has had a revival because of the perceived fit with microservices. DDD is not SAP-specific, but rather one of these themes that the SAP developer community should adopt from outside our ‘bubble’. In this session we’ll explain its major ideas, strategic and tactical patterns, and how and when it can help you as a developer. In this session I’ll show how easy it is to build complex processes using SAP CP service. Starting from scratch I will combine the workflow service, the business rules service and the mobile cards to build a simple approval process. In this session, I will show you how we can make every professional coffee machine smart with the Leonardo Service Internet of Things Application Enablement. Starting from Edge Processing on the device to a beautiful UI5 Dashboard in the Cloud. Next to supplying Water to end-customers, the European Bison (Wisent) is also one of the ‘biggest’ responsibilities of PWN. Besides being the 2nd biggest water company in the Netherlands they also maintain two National Parks including the animals living in it. This specific client case is inspired on a hackathon organized by PWN. One of the questions remained was how all data possibly generated from their National Park could be leveraged in SAP and how to analyze and transform it to actual value. This session shows how SAP Leonardo can enable a solution using IOT and UI5 to analyze and improve the wellbeing of the European Bisons. With the Android SDK now out there, let’s explore what options are available nowadays for your Mobile App and how the Android SDK works. Mendix, a piece of cake? In this session we discuss customers challenges. We discuss with tangible questions on why and how you could apply an agile solution on top of SAP and which choices to make, like Fiori or Mendix and zoom in a bit on differences. We mix these experiences with an live demo. You probably have heard it more than 1000 times: 98% of the top 100 most valued brands in the world are SAP customers are SAP Customer, and 96% of Fortune 500 companies have at least one Microsoft cloud offering, such as Office365. Both, SAP’s and Microsoft’s, solutions contain the better part of each company’s mission-critical data. This offers a great opportunity to combine and leverage the data of both source systems and to make use of synergy effects. In this talk, I will introduce you to the basic concepts of Microsoft Graph, the “gateway to data and intelligence in Microsoft 365”. Join me to learn what data is accessible via this service and how to use it in SAPUI5 apps. Only just announced at SAP TechEd and now already at #sitNL! This session is meant to show you what FaaS is and how it interacts with other service on the SAP Cloud Platform to form a stellar set of service, ideal for extending SAP applications in a scalable, elastic fashion. Free beer or headache - are you doing Open Source right? Noud and Clemens will talk about the new standard within BW/4HANA transformations: AMDP. They will talk about the different use cases and their pros and cons as well as how it relates to ABAP. In addition, they will demo some interesting possibilities of AMDP. How to survive in the ever expanding ecosystem of SAP Data Warehousing? The pace of change in SAP Data Warehousing is faster than ever. Changes are caused by innovations in BW/4HANA, the coming-of-age of SAP’s SQL Data Warehouse and external factors such as ‘big data’, ‘advanced analytics’ or new legislation, like GDPR. It is impossible to keep on top of all the changes, but one thing is clear: Learning is no longer optional. In this presentation Jan will highlight some of the more significant recent changes and exchange some ideas on how to stay up to date. He will also talk about some real-life examples of how new technology helped to meet business requirements and, if all goes well, run a life demo of such new technology. SAP HANA SQL DW – What’s so special? What makes the SAP HANA SQL DW so special? Is it the native CI/CD support? The complete web based approach? Or is it just as special as all other SQL DWs out there? Sefan will guide you through what it is, and what is new with the latest DW Foundation service pack and Web IDE Feature Pack. Can you keep up with SAP Analytics Cloud? SAP is quickly extending their Analytics Cloud solution and it’s hard to keep up with the waves containing exiting new features, introduced on a bi-weekly basis. Now with the introduction of Application Design, SAP adds a 4th pillar besides BI, Planning and Predictive features to SAP Analytics Cloud to enabling customers to easily and quicky build custom applications. In this presentation Martijn will highlight some of the latest innovations in SAP Analytics Cloud and will talk about / live demo the first version of the Application Designer, which is currently in BETA. He will also talk about the APOS Publisher for Cloud, a partner solution that enables bursting of personalized SAP Analytics Cloud stories to end users to various destinations and in different formats. Intelligent Enterprise - what does it mean for all of us? It’s about what is the intelligent enterprise and how SAP products are contributing to the delivered intelligence. It is about the changes you can expect out of it in your enterprise context. It’s about the influence on the roadmaps of SAP platform and SAP product portfolio. For SAP enthusiasts (both consultants and customers) who want to share or catch-up on their knowledge. If you plan to visit SAP TechEd, please share your thoughts and vision with us. Or if you have an interesting story to tell regarding SAP Technology - you're more than welcome. The event is planned on a Saturday and most of us are wearing the same clothes as they would usually wear on a Saturday. Casual will be good, but anything you feel comfortable in. And no, there's no contest for best/worst/weirdest dressed person. What is the official Twitter hashtag? It's almost impossible to miss our hashtag. But just in case... It's #sitNL. Is #sitNL really already 10 years? Yes, it's true. It's damn true! #sitNL exist for already 10 years. If you don't believe us, it's been organised on a yearly basis, just after SAP TechEd. And the first edition was in 2009. Have a look here for a walk down memory lane: Recap SAP Inside Track Eindhoven. Wait... what? Oh, you mean you're looking for the nearest hotel? That would probably be the Fletcher hotel, just at the other side of the highway. Here's a link: Fletcher hotel. The 2018 edition of the SAP Inside Track is organised by Twan van den Broek, Jan Penninkhof, Ronald Konijnenburg, Sven van Leuken, Wim Snoep, Roel van den Berge, Tamas Szirtes and Fred Verheul. Will there be a pre-conference? Yes! Just like each year, we're organizing a pre-conference for the folks that already arrive the day before, or just want to pick up some additional skills. The master classes will take place in the afternoon of the 9th of november. Have a look at what classes are available here. Please note that separate registration is required. Following the example of our eastern neighbors, we would like to introduce a more regular meetup pattern. In these meetings we can exchange ideas about SAP technology, work and everything else in life. If you are interested in staying up-to-date and get invites whenever these events happen, please feel free to join us and sign-up! In the event of any questions, feedback or unclarities, you can always contact us through email address info@sitnl.nl. The SAP Inside Track Netherlands is a community organized event where SAP Community Network members come together to share knowledge, expertise and network.